Velocity Systems Phalanx VS-PBZ “Ballistic Rifle Plate” Ultra-Lightweight SAPI-Type Multi-Hit Ceramic Hard Armor Plate / Mayflower Research & Consulting Assault Plate Carrier (APC) Tactical Body Armor/Tactical Vest Synergistic Combo | DefenseReview.com (DR): An online tactical technology and military defense technology magazine with particular focus on the latest and greatest tactical firearms news (tactical gun news), tactical gear news and tactical shooting news. It didn't stop 7.62×54(R), so it would disqualify itself from use overseas because of it's inability to stop PKM or SVD fire. However, for stateside use where 30.06 and 7.62×54 (R) are less common, the plates definitely would be an asset to patrol officers, in my opinion. Very cool. I think I have said before to you that I believe the next generation of armor is a super lightweight set that stops PKM fire. The 7.62×39 is obviously the caliber that everyone stateside and overseas has to worry about. I think that because of the 5.56mm prevalence in the US and now that it is given to our "allies" OCONUS ballistic plates need to be able to stop that also. The 7.62x54mm is the litmus test for overseas work because the Muj are aware that our vehicles can withstand volumes of AK fire but the glass is vulnerable to 7.62x54mm AP in concentration. I imagine if we seriously went loud with Mexico you might see a massive need for ballistic plates also. Soldier Systems was pretty excited about a Size "Medium" (9.5"Wx12.5"L) Phalanx VS-PBZ hard armor plate weighing only 4 lbs (4 pounds) and being only .5 inches (.5") thick, but "H.B." makes a good point about the importance of being able to stop the 7.62x54mm Russian PKM machine gun/SVD sniper rifle round overseas. On the domestic front, we've now got the new M855A1 EPR (Enhanced Performace Round) "Green Ammo" environmentally-friendly/eco-concious/enemy-hostile 5.56x45mm NATO (5.56mm NATO) round rumored to have been originally designed and developed by the good folks at Liberty Ammunition, that one must assume will end up on the commercial market at some point. So, my question is how does the Phalanx VS-PBZ plate perform against the M855A1 EPR round? Also, how does it perform against military surplus M80 Ball 7.62x51mm NATO (7.62mm NATO) and M2 .30-06 Springfield rounds? How much would in-conjunction and stand-alone VS-PBZ-type Phalanx lightweight Level IV plates weigh? It's Defense Review's understanding that the current Velocity Systems Phalanx VS-PBZ multi-hit anti-rifle hard armor plate is still an "in conjunction" plate that requires an NIJ Level IIIA soft armor backer/backing (unconfirmed/unverified). According to Soldier Systems, Velocity Systems and Mayflower Research & Consulting, LLC have recently combined forces. More specifically, Velocity Systems has acquired a minority share in Mayflower R&C, LLC, after OEM'ing Mayflower products for the last several years. 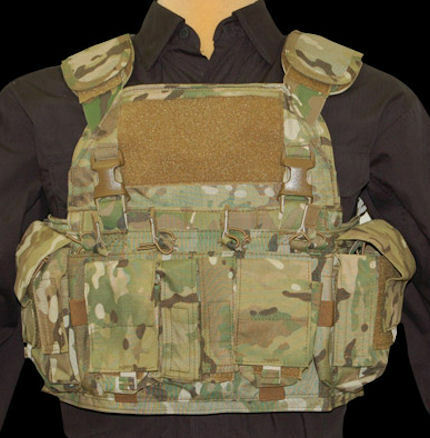 Velocity Systems has a proprietary and patented SwiftClip ® system, which all Velocity and Mayflower vests and plate carriers utilize, and which can be used to attach all of their "auxilliary systems". While Soldier Systems is pretty gung-ho on the "cutting-edge" Warfighter-compatible and scalable designs this synergistic Velocity/Mayflower merger has created, DefenseReview is obviously forced to take a more skeptical stance on it, since we have no experience whatsoever with Velocity Systems or Mayflower Research & Consulting products, ourselves, nor have any of our U.S. military SOF (Special Operations Forcs) contributors/writers or contacts provided any feedback on them. We're actually hoping to change this in the not-too-distant future. In the meantime, we're of course keeping an open mind on it, but our current measuring sticks in the tactical armor plate carriers/tactical vests (body armor) and tactical gear arenas are Crye Precision and Hardpoint Equipment products, and those two companies' products are frankly going to be tough to beat for tactical operations effectiveness and soldier/warfighter comfort. So, consider us like Missourians on this one; "show me". And, let's not forget about Archangel Load Bearing Armor, which utilizes a proprietary/patented, innovative load-bearing body armor carriage system–another very interesting player in the game. Size & Weight: 8.75”W x 11.75”L 3.5 lbs. 9.50”W x 12.50”L 4.0 lbs. 10.25”W x 13.25”L 4.7 lbs. 11.00”W x 14.00”L 5.4 lbs." ATS War Belt Review: Best Tactical Belt for the Money, and 3-Gun Ready! DR Exclusive Interview! 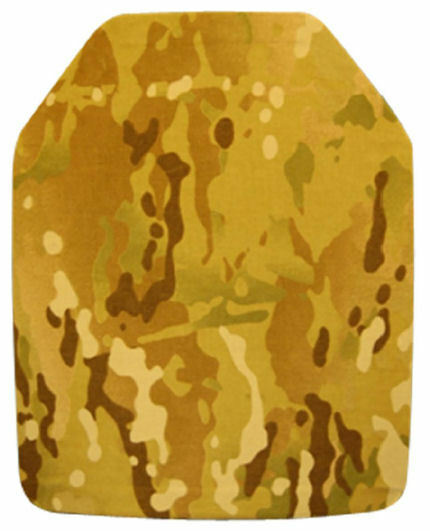 : HyperStealth Quantum Stealth (QS) Passive Adaptive Camouflage (Camo)/Visual Cloaking Technology for the 21st Century Future Soldier/Warfighter: Beyond SMARTCAMO Color-Changing Hybrid Camouflage, Beyond Fictional Alien Predator’s Active Electro-Optical Camouflage/Invisibility Cloaking Tech! Previous: ATS War Belt Review: Best Battle Belt-Type Tactical Belt for the Money is 3-Gun Ready!